If you're looking for a useful free giveaway for your next promotional item, this sleek printed can and bottle opener is a great option. 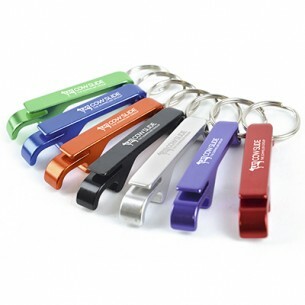 Small, stylish and available in no fewer than 7 bold colours, the keyring tool will easily fit on any set of keys. Your branding is also clearly visible on the side, making it certain to provide you with plenty of branding opportunities when you give it away as a free gift.